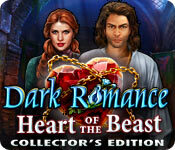 Dark Romance: Heart of the Beast Collector's Edition is rated 3.9 out of 5 by 53. Rated 5 out of 5 by Kay_Erin from A Look Back In Time One of the nicest things about belonging to Big Fish for a long time is going back and replaying games you've forgotten. I did that this week with this game which I originally bought in 2015. This is a great HO game in a consistently high standard series/ (Yay, Domini Games!) As I've said before, I'm not great or big on puzzles, but most of these I got, skipping just a few that seemed unnecessarily complex (like the ones where it is constantly resetting before you match all the clouds) or I just couldn't figure out. Over time I've gotten better at them, but in the heat of the game I don't often want to go to the SG and see how to figure it out! Anyhoo. This was a very satisfying game, with a good ending: it isn’t obvious who the really evil one is until the bonus chapter! I missed one part of the butterfly and one collectible, I will go for those the next time I play – they don’t allow you to go back and find them. :( This is def. worth a look, especially with the 7.99 price this weekend! Rated 5 out of 5 by tutortime from Great Game. 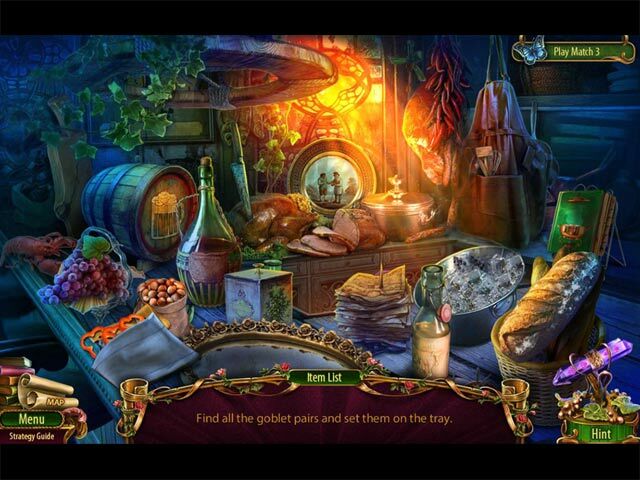 Wonderful storyline, graphics and mini games. Its also nice and long. The CC edition is worth the money as it has all new scenes and is also long. Rated 5 out of 5 by ncrittah from Great game I thought the graphics were crisp. I loved the game and its audio. Rated 5 out of 5 by mikesilverman from STUNNING BEAUTY This is a visually magnificent game, I've seen nothing like it on the scale of detail and interactive environment. Every scene breathes with a life of its own. The play mechanics are interesting as well. As the story progresses you switch characters, between the female protagonist and the cursed prince. It's handled so well that it's very enjoyable and it all fits within the context of the story. The switching of characters occurs at regular intervals, essentially giving you two quests to complete. The map clearly defines where your progress has been, and points you to areas where you can affect something that will move the story forward. There are a wide variety of different characters in the story, each with a well developed personality. 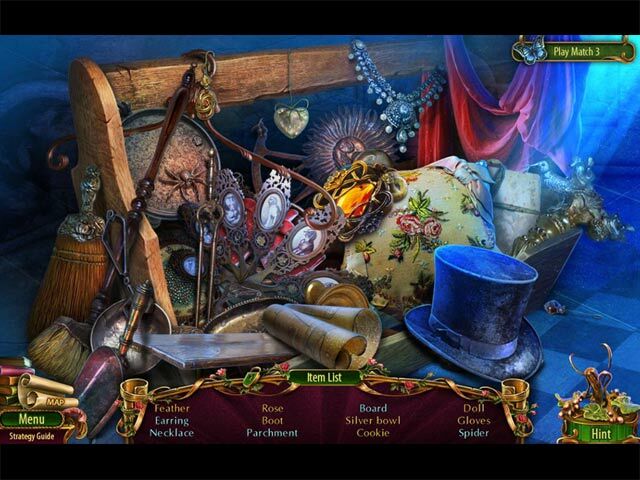 The hidden object scenes occur frequently and are very detailed without being overly difficult, the puzzles are likewise moderate in difficulty and will only take a few minutes at most to complete. 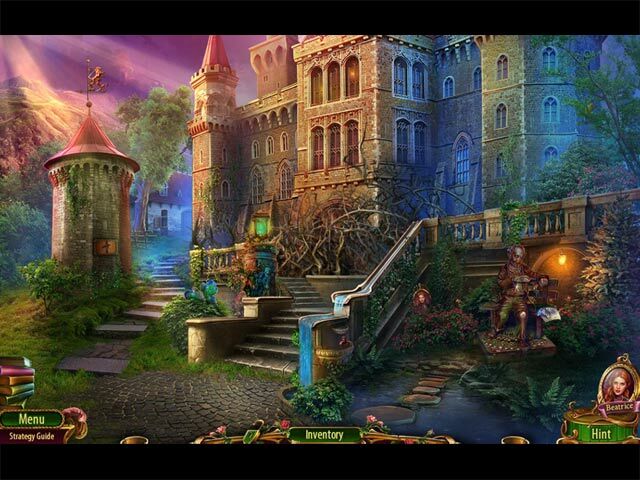 You also have the option in the hidden-object scenes to play a match-3 game instead of completing the hidden object screen. I love this game, it's not just a game its an experience.., very entertaining and captivating with a touching storyline very reminiscent of the Beauty And the Beast tale with a twist to it. Rated 5 out of 5 by coucou12 from Very nice game Nice game, nice graphics, entertaining puzzles. Rated 5 out of 5 by dancemom1 from Excellent addition to this series... I also beta tested this one. I track the betas and give them stars. This one I gave a 5, which I rarely do to any game, but it had it all and was well worth it. Been out of town, so not going to do my usual review, but I bought this one without giving the demo a try. That is something I have only done one other time, but I see another game that came out this weekend that is going to get the same treatment as this one. Don't think anyone, of any play level, will be disappointed in this game at all. As always, try it for yourself and see what you think. We all have different tastes in games and you may not care for this one at all. Thanks for the reviews. Rated 5 out of 5 by zandu2 from Nicely done! Such a beautiful game until the bonus and the last mini game. I must say I truly hate the marble game, where one must over take the other marbles to win and must say I was in there for ever and finally gave up. Grr. That out of the way, I can say that the scenery was exquisitely done and I enjoyed the story. Music okay. Voice over strong and love the screenshots that I could take as my wallpaper. Rated 5 out of 5 by PirateGirl212 from Very Enjoyable Game Great storyline, easy hops and puzzles. I really enjoyed playing this game! Rated 5 out of 5 by cindybuns from Different Beauty & Beast (based on demo casual level) I'm hooked on these romance/fantasy games and this one I'm tempted to buy without a sale. It's been a long time since I was so tempted, so it's a definite buy for me. The graphics are wonderful and the storyline so far is interesting as well as the voiceovers of the characters. The only thing that bothers me about the storyline is that her father appears so old you would expect that it was his time to go. Every daughter wouldn't want her father to die, but would expect it if the parent was very old; to make the story more credible he should have appeared a bit younger. That said here is my list: 1--graphics are very colorful and not dark, voiceovers great as they fit the characters 2--transporter map (beam me up Scotty#, with indications for butterfly collectibles, tasks to accomplish 3--Magic frame to transform animals back to humans to get clues to continue story and some also assist you in tasks 4--magic items to find as well as portraits 5--achievements to earn 6--two characters to play as, the beast and Beatrice in order to continue the game 7--some puzzles lead to the HOS scenes, so you solve the puzzle first then do the HOS 8--if you don't want to do the HOS you can switch to match-3 9--puzzles appear to be easy in beginning, not sure if they become more difficult as you go on in the game 10--usually bonus features, music, wallpapers, concept art, guide and bonus game When the demo ended, I still had 35 minutes left to play and I could've kicked myself as I felt it ended too soon, which is a good indication to me that it's a buy. That said #I do have the 1st Dark Romance game) different people have different tastes and everyone should give this game a try you never know you might just feel as I did. I am hooked on these types of games and wish they made more of them.